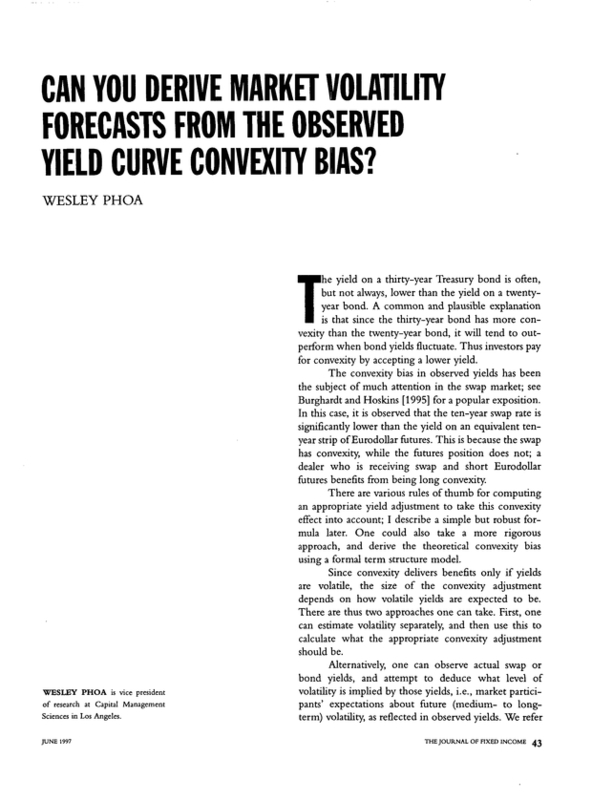 Can you Derive Market Volatility Forecasts from the Observed Yield Curve Convexity Bias? Vice president of research at Capital Management Sciences in Los Angeles. You are going to email the following Can you Derive Market Volatility Forecasts from the Observed Yield Curve Convexity Bias?